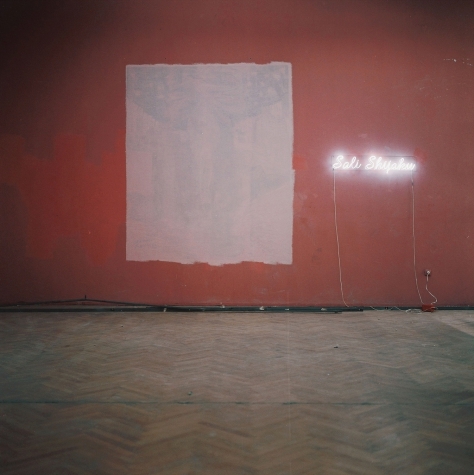 RI-PIKTURIM was a self-effacive exhibition project, which took place at the National Gallery of Tirana during the heydays of its renovation works. Due to the social and political reshaping of Albania, the National Gallery underwent its first substantial architectural refurbishment since its inauguration in 1954 by Enver Hoxha; a process that also merged into a new institutional positioning, above all, regarding the role of the Socialist collection. Since such processes of transformation often evolve only subtly, the very phase of renovation and the temporarily empty spaces of the museum stroke us as not yet being defined, as a sort of blueprint for an ephemeral U-Topos. 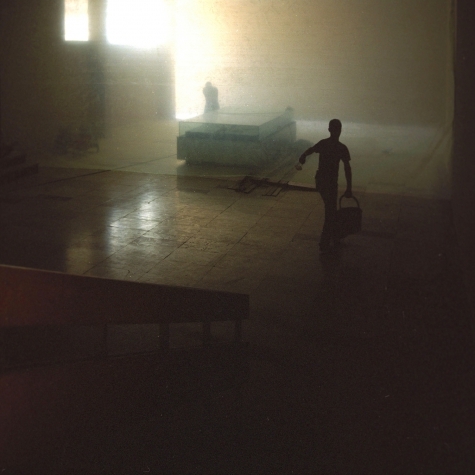 The Utopia, that we defined then, understood the emerging and still unfinished gallery spaces as a place devoid of institutional and political power. 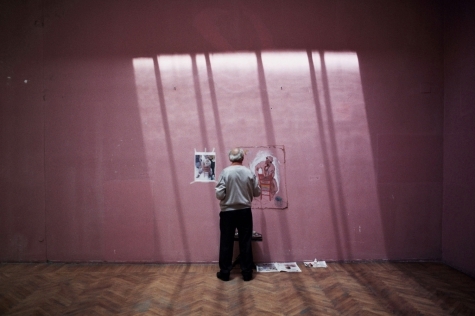 Under this self-appointed premises, we invited acclaimed painters of the former regime (‚people’s painters‚) to revise one of their paintings dating from the Communist era in order to interpret it anew and paint directly onto the blank gallery’s walls. 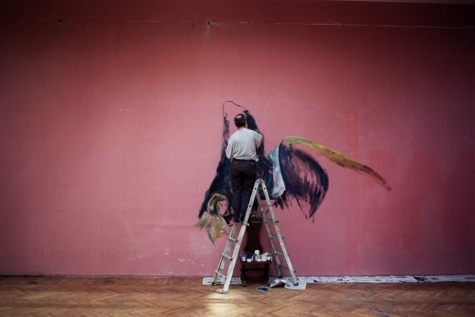 The new wall paintings deriving from this approach led to a decoding of the Socialist originals in terms of their relation towards the respective artist’s biography. In this sense, the exhibition did not only exhibit a part of Albanian art history but equally the (hi-)stories deeply intertwined within the painter’s practices and memories. The paintings disclosed narrations of nostalgia and humor, but also spoke of fanaticism and grief based on a sense of alienation and disillusion. 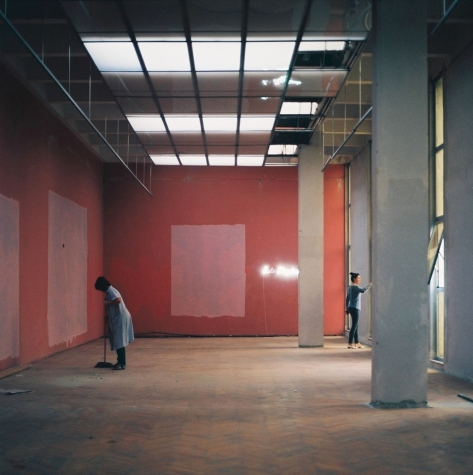 The end of the exhibition was marked by the overpainting of the new works as the renovation works continued. The paintings disappeared under the new white coat of the institution, whilst at the same time merging, as if in a reversed cultural archeology, into the (hi-)story and the skin of the building.